What does a “library” mean in programming world? 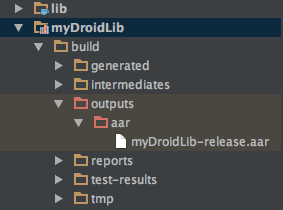 In Android, mainly two types of libraries are used: JAR and AAR. Full form of JAR is Java Archived. A JAR file is a Zipped formatted file with .jar extension, containing Java Class files, metadata and other resources like text, images etc. JAR files may also contain one Manifest.MF file. This file contains information like which Java class is the entry point, classpaths etc. It will create a new java library project. 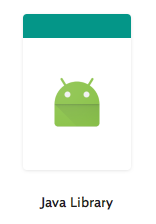 But you cannot add any android Framework dependency in this library. How to create a library for android then? 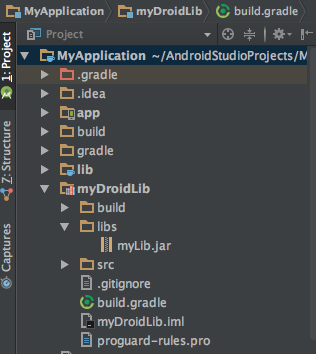 Simply select “Android Library” instead of “Java Library” in the last step above . done !! But how to get the .jar file for both of these libraries? 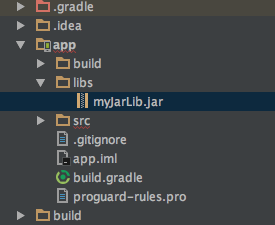 For “Java Library”, use ./gradlew build to create .jar . Output file will be inside /build/libs/ folder. Now use the command ./gradlew createJar to build the jar. The output file will be inside /yourLibrary/libs/ folder. Generating an AAR is easier than jar. Just use “./gradlew assembleRelease” and it will generate release AAR inside /yourLib/build/outputs/aar/ folder. myJarLib.jar should be inside ‘libs’ folder. Rebuild the project and it should work. "I would like to hide method implementation inside the aar library". "I am getting a question mark on my aar file".